Australia, 17 February 2016: StartupAUS, Australia’s peak advocacy group for startups, has today formally announced Alex McCauley as the organisation’s new CEO, effective from Friday, 19 February. Mr McCauley will work with the StartupAUS board to continue its mission to transform Australia through technology entrepreneurship. Mr McCauley will take over from StartupAUS Founding Director and Interim CEO, Peter Bradd, who led the not-for-profit organisation with distinction for his six-month term and will continue on within the organisation as Chairman. 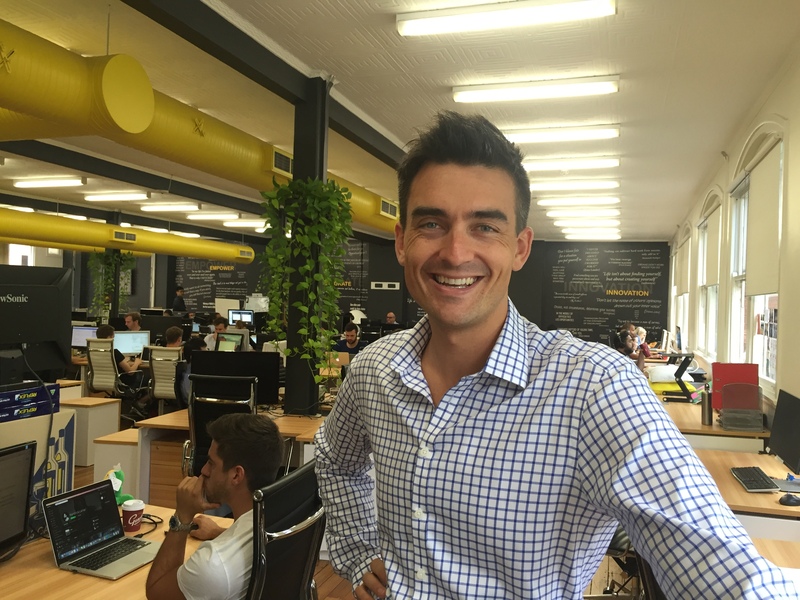 Mr McCauley joined StartupAUS in 2015 as Head of Strategy and Advocacy. He was responsible for developing StartupAUS’ extensive contribution to the Federal Government’s National Innovation and Science Agenda and the StartupAUS report on the outcomes of the national Innovation Policy Hack in October 2015. Prior to joining StartupAUS, Mr McCauley spent three years as an Australian diplomat in Tel Aviv. During his time in Israel, he led the Australian Embassy’s strategy and analysis on regional security issues, as well as entrepreneurship and innovation policy. Reflecting on his appointment, StartupAUS CEO, Alex McCauley, said: “I am delighted to have been given the opportunity to play an important role helping Australia’s economy work through this transformative phase. StartupAUS is an organisation that has a great deal to contribute to the future of Australia and I’m very excited to be part of that. “Australia has come a long way recently in recognising the direction we need to take to safeguard our future prosperity, however there is a lot more to do. I look forward to continuing to work with all of our stakeholders to help make Australia one of the world’s leading startup ecosystems. We need to think creatively and act boldly to allow us to take full advantage of the huge windfall technology can deliver. “This year StartupAUS will release its most ambitious Crossroads Report to date. We’re currently hard at work gathering examples of best practice policy from around the world in order to help Australia join the elite ranks of startup ecosystems in the US, Israel, the UK, and elsewhere. There is a political and economic imperative to ensure we take full advantage of the vast opportunities presented by emerging technology and StartupAUS will be at the forefront of those efforts,” Mr McCauley said. StartupAUS Chairman and outgoing CEO, Peter Bradd, said he was delighted by the appointment of Mr McCauley to the StartupAUS CEO role. 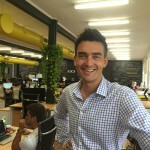 “Alex has been an integral part of the StartupAUS team over the past six months. His extensive understanding of innovation culture, as well as his expertise in policy and advocacy can be greatly attributed to his former role as Australian diplomat in Tel Aviv, Israel. Alex’s experience working closely with government and entrepreneurial personalities made him the perfect candidate choice for this leadership role. “As Chairman of StartupAUS, I look forward to continuing to work alongside Alex in what will be an exciting year of innovation, ideas and implementation from government, industry and the broader business community,” Mr Bradd said. Minister for Industry, Innovation, and Science, The Hon. Christopher Pyne MP, congratulated Mr McCauley on his appointment as CEO. “Organisations like StartupAUS play an integral role in working to accelerate the growth of Australian startups across the country,” Minister Pyne said. Mr McCauley continued: “We are in the process of finalising a range of corporate partnerships for 2016 to help us build our team so that we can meet the increasing need for trusted voices in the national conversation on innovation and startups. “We have also received extremely generous support from two individuals – Co-Chairman of CHAMP’s Board of Directors and Investment Committee, Bill Ferris, and Director and Co-Founder of Allen & Buckeridge, Roger Allen. The personal generosity of Bill and Roger has been very humbling; it’s fantastic to have such luminaries of the Australian business community recognise the importance and quality of the work StartupAUS has been doing. On behalf of StartupAUS and the startup community more broadly I want to say a special thanks to both of them,” he said. Alex McCauley is the CEO of StartupAUS. He has previously worked as a lawyer, and a diplomat for Australia’s foreign service. StartupAUS is a not for profit organisation with a mission to transform Australia through technology entrepreneurship. Alex will continue the organisation’s mission in his new role as CEO. Having spent three years as an Australian diplomat in Tel Aviv, Alex joined StartupAUS in 2015 as Head of Strategy and Advocacy. He was responsible for developing StartupAUS’ extensive contribution to the Federal Government’s National Innovation and Science Agenda. He also wrote the StartupAUS report on the outcomes of the national Innovation Policy Hack in October 2015. During his time in Israel, Alex led the Australian Embassy’s strategy and analysis on regional security issues, as well as entrepreneurship, innovation, policy and cooperation. Alex has qualifications in law, political science, and economics from the University of Sydney.